Meditation is getting a lot of attention these days from unlikely places. It’s no longer considered the practices of the mystics and ascetics living on the fringes of society. In fact, Forbes magazine publishes articles on meditation regularly, with topics ranging from ways meditation can actually change the brain, or how meditation balances our emotions, and how it can heal your money troubles! Breathing and meditation are like chocolate and peanut butter — two great tastes that taste great together. It’s quite difficult to practice any meditation without some ability to relax, focusing on the breath by observing the natural rhythms, or by learning specific breathing techniques that target certain health benefits. In advanced meditation practices, the focus is on developing the higher faculties such as intuition in order to become and embody our best self. These practices develop self knowledge, using introspection, as a way to develop, grow, and continue to transform throughout our lifespan. At BodyAttune, we use meditation and breathwork to develop and strengthen the communication between the subconscious and conscious mind. Being able to hold strong intentions supports developing our full potential as a human being, and improves the ability to put into action manifesting your desires and becoming a true alchemist — the ability to go within and find your own answers by activating your inner guidance system. 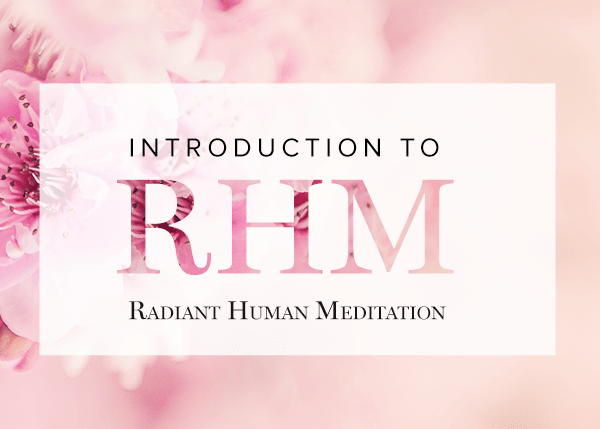 The RHM is a simple meditation practice of directing the breath to sweep throughout the body and observe the body sensations that arise. The insights and coherence that are brought about could not be facilitated by any outside source, only from within. Our body is a dynamic system of thoughts, feelings, experiences, and biology. The heart itself is the natural commander of this dynamic system otherwise known as the human body. Every health and healing system since the dawn of man has recognized the importance of the heart as an indicator of our general state of health. For instance, our heartbeat and blood pressure are the first things a traditional allopathic doctor will measure in an office visit. Since ancient times, Chinese medicine places the heart in the role of commander of the blood and houses the spirit. It is considered the emperor of the kingdom who can oversee from high and is rarely if ever treated directly, as it is seen as inherently balanced and that all disease and dysfunction are from some other part coming into disharmony rather than the heart itself. In eastern traditions, it is the place of our highest wisdom, the part of our soul that is connected to the eternal, reflected in the experience of our inner witness – the aspect of us that can perform self observation without judgement, conflict, doubt, or indifference, the part of ourselves that can be cultivated through meditation, self-reflection, and observation without reactivity. In Radiant Heart Meditation, we are calling all resources back into the heart complex, a strong spiraling vortex of magnetic energy. First by utilizing a sweeping style of breathing to awaken the observing mind, strengthen the ability to maintain a presence of focus. We allow the observing mind to follow the breath as it moves throughout the body, and as each area of the body is penetrated with the observing mind, we are awakening the consciousness aspects of each area. This can feel a little challenging, as it starts to take the body out of the stress response and into a state of relaxation. This technique can be powerful as a way to calm any feelings of nervousness, stress, or anxiety. Then we direct the breath to enter into the heart complex. The breath begins to fortify the electromagnetic field within the heart and we circulate that throughout our body. Then we work with the feeling of gratitude. Inviting our breath to merge with the feeling of gratitude within the heart complex, further increasing a positive radiant energy within the heart-field. Breathing is both a physical mechanism, as well as a scanning tool for the movement of consciousness throughout the body. The diaphragms which are stimulated during breathing are high energy centers within the body where communication is likely to break down. So when we are scanning an area and trying to awaken conscious awareness, we are stimulating movement of the diaphragms. Consciousness is a reflection of the result of being alive. We can look at parts of us under the microscope and learn new things, but that is different than an integrated whole, being alive with vitality. This is knowledge that can only be gained from introspection and the insight that come from meditation. We might say that consciousness is how something thinks about itself and how it responds to its environment. All the consciousness that is possible is already here, within your being. Your full consciousness potential is not generally available because it is not in complete coherence with the heart. RHM helps to liberate your consciousness so that you function better on all levels and can experience these levels in more integrated ways. Each cell has consciousness, each organ, each body part, or body system has consciousness – within itself and as it relates to other. When we perform the heart breath we are reminding our system who has the role of overseeing systems integration. Each part goes on being a part, but in better communication and connection with the whole of you. research studies by the HeartMath Institute. When practiced in a group, the numerous benefits from Radiant Heart Meditation are increased. That is why at BodyAttune we offer RHM in a group format. The entrainment that occurs within the hearts of the participants offers an enormous resource of support toward success with your practice and healing intentions. I have been offering RHM meditation experiences for the last several years, and the kinds of synchronicities, healing archetypes, experiences shared between members is nothing short of profound.